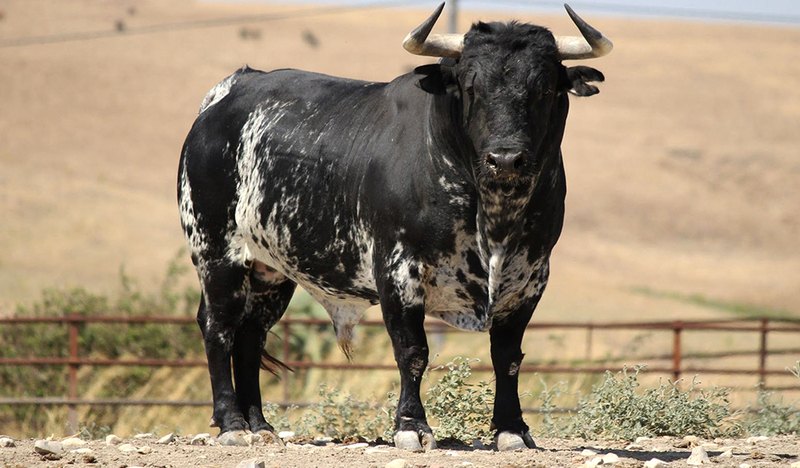 The exhilarating peculiarity of a bull runfernanducoconsists in the release of two bulls in a route in the shape of a V. In this manner, the runners could find themselves confronted with an animal in front of them, while they are chased by another behind them. 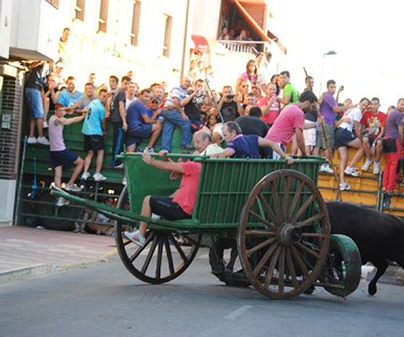 The round-up ends by driving a car through the route, to provoke the animals, livening up the bull run in its final stage. 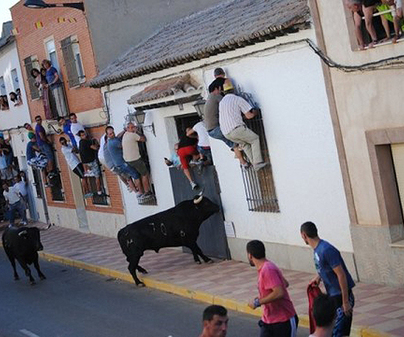 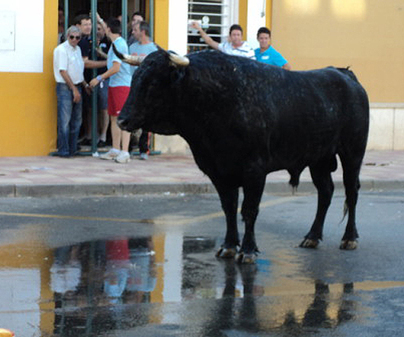 The bull run takes place during the local patron saint festivities in honor of San Agustín (St. Augustine), during which one can also enjoy the release of heifers, traditional giant and bigheaded figures,toros de fuego,fireworks, and nighttime festivities.